Everyone has that one friend that travels constantly. Buying presents for such a person is not always an easy task. Just because they’re constatly away and will probably make no use of “regular presents”. Paintings, mugs, knick-knacks and trinkets are nice but they may not be exactly what your traveler friend is looking forward to receive. Best travel gifts for her? If that’s what you are searching for right now then you have found yourself in the right place! Because in this article we will focus on just that – best travel gifts for women. Want to give something really useful for your female traveler friend or relative? Read on to see some great travel gift ideas for her! We’ve made this list of the best travel gifts for women to help you find an amazing present that will make your female traveler friend or relative very happy. Long haul flights and long distance buses and trains can be a pain in the neck, quite literally. 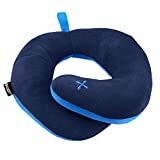 To ease the misery travelers use a travel pillow. It supports head and neck, and helps to get some rest while sitting in an upright position. There are many travel pillows out there but the BCOZZY chin supporting travel pillow is our favorite. It wraps around the neck comfortably and simultaneously provides support to the neck and head. Most importantly, it will give much needed chin support as well! When you aren’t prepared sleeping on the plane can be tricky. It’s not a regular smartwatch! This lightweight, swim-proof smartwatch helps to track person’s all-day activities, heart rate and sleep stages. Also it helps to reach health and fitness goals with personalized guidance and on-screen workouts. It’s possible to choose from 15+ exercise modes to get real-time stats during a workout. This lightweight and super-comfortable watch is perfect not only for workouts but also for traveling. It will help track walking and count steps. 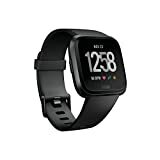 The Fitbit Versa fitness smartwatch can receive call, mail, text and calendar notifications. Also it allows to check weather, just like a regular smart watch. Compare it with other Fitbit watches. Toiletries take up quite a lot of space and aren’t eco-friendly because they come in plastic bottles. Also it’s not allowed to bring full size toiletries on the plane in your carry on. That’s why many eco-conscious travelers use shampoo and conditioner bars. Not only they’ll help save space but help the environment, too. And since it’s not a liquid it can be easily transported in a carry on. A shampoo bar can be used to wash body as well. 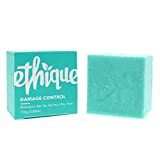 Add also a cleansing soap bar for the face to the gift and your female friend / relative can go on her next trip just with three bars in her luggage. Sounds great, doesn’t it? These bars are definitely among the best travel gifts for her! A regular, fuzzy towel takes up a lot of space in the luggage, so it’s not really suitable for traveling. Also it doesn’t dry fast, and another annoying thing – sand sticks to it! 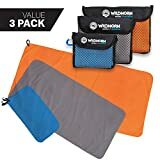 The perfect travel towel is a lightweight microfiber travel towel, such as the WildHorn Outfitters towel. These towels come in a set of 3 – S (hand towel), M and L. The larges one can be used as a beach towel, the medium-size towel can be used as a bath towel and a small one – as a hand towel. The three of them take less space than one large fuzzy bath towel! And one doesn’t have to take all of them on the trip. Two will suffice. Do you need more ideas? See this list of some of the best travel towels. A must have when traveling! We have destroyed a couple of phones during our trips. 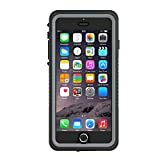 The phone can get wet in the rain, can be dropped, etc. But all of this can be prevented with just one water resistant and shockproof phone case! 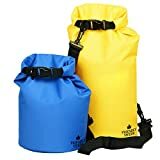 A dry bag is a waterproof flexible container for keeping your belongings, such as electronics and clothes, dry during heavy rain, while rafting or canoeing. A dry bag is especially useful when traveling to tropical destinations during the monsoon season. Dry bags come in several sizes. The smallest ones are perfect for storing travel essentials, such as phone, wallet, passport, small camera. The largest ones are suitable for storing various gear – a sleeping bag, clothes, electronics, and even a 2 person tent. Some of the best dry bags come in sets of 2. A power bank is a portable charger designed to recharge gadgets while a person is on the go. A powerbank needs to be charged first. Then, when it’s charged, one can use it to recharge a smarphone, tablet or even a laptop. What and how many devices a powerbank can charge depends on its capacity – check its mAh figure before buying! A high capacity power bank, such as the Anker 20100 mAh, is a must-have for every traveler! Not only it will be possible to charge a smartphone once, or twice, but even as many as 5 or 7 times, depending on what phone do you have. Despite the high capacity, the Anker powerbank is compact enough (6.64″ x 2.28″ x 0.87″ / 17 x 6 x 2 cm) to be put in a daypack or a shoulder bag. Maybe a solar power bank? Check out our guide to the best solar power banks. Books take a lot of space and weight a lot. That’s why an e-book reader is a great present for those who travel! 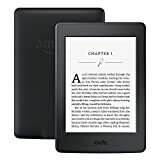 With an Amazon Kindle your loved ones will be able to travel light yet have plenty of reading material! 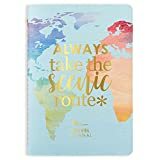 The Erin Condren Travel Petite Planner is one of the cutest travel gifts for women! With this travel planner it’s possible to track up to four weeks of travel with 28 daily spreads to log activities, meals, memories, spending and more! Also a traveler can add detail with stunning gold stickers, included (1 sheet) in each travel journal! Perfect for both long-term and short vacations, weekend getaways or even staycations. A packable daypack is a lightweight backpack made 0f thin yet durable material. As it is so lightweight and thin, it can be folded and packed inside itself. It takes up a little space and doesn’t weight more than a Coke can. Many experienced travelers take with them a packable daypack in case they decide to bring gifts and souvenirs to their families and there’s no more space left in the luggage. Also a daypack is great for day trips and sightseeing. There’s no need to unpack the large backpack (in case one is traveling with a backpack) and take it on day trips. Unpack the daypack and take it instead! A must have for every traveler. An RFID blocking passport holder protects passport from wear and tear, as well as electronic theft. An RFID blocking passport holder protects personal data stored on microchips in passport, credit cards and ID cards from unwanted scanning. The Fintie passport holder is made of quality vegan (faux) leather. 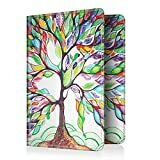 What we like the most about this passport holder is that it’s available in a variety of colors and designs, both bright and neutral. 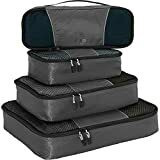 Packing cubes are lightweight zippered bags of different sizes for keeping clothes and other things contained in an organized manner during traveling. Packing cubes are available in several sizes. The smallest packing cubes are perfect for storing underwear and socks, whereas the largest ones are great for jackets, jeans and sweaters. Mostly packing cubes come in sets. In our opinion the Vera Bradley cosmetics bag is the best gift for traveler woman! It’s so cute and versatile. It can be used as a toiletry bag, as a makeup bag, or even as a cable or electronics pouch. Not only it can be used on a trip but also in on a daily basis. It will help keep makeup contained and organized in the drawer or bathroom cabinet. 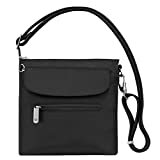 A great little crossbody bag that will keep essentials and documents safe. This Travelon mini shoulder bag has slash-resistant body construction and slash-resistant, adjustable shoulder strap. Also it has a locking main compartment and locking hardware. The latter means that the bag can be secured to a fixed object like a tree or a table leg. The Travelon mini shoulder bag will protect cards and passport from unwanted scanning and identity theft as it has RFID blocking card and passport slots. This versatile piece of clothing is one of the best gifts for female travelers. A sarong can be used as a beach blanket, a skirt, a dress, a shawl or even as a headscarf in Muslim countries. Sarongs are lightweight and come in a variety of colors. What a better gift for your traveler friend than this. Backpacking trip to India? Book the flights and a hotel or hostel for the first 2 nights, and go with the flow. Weekend in Paris? Breakfast in bed. A long walk along the River Seine. Nice dinner. Maybe SPA? Book everything in advance. Week-long holiday in Italy? Just think about this for a moment – vine, some of the tastiest food in the world, lots of it, luxury villa rentals in Italy, and you. Enjoy! Is there something you would add to this list of – the best travel gifts for her? Maybe something that’s not mentioned but something that you would be happy to receive as a gift?